Synopsis, Our Opinion: A SPECTACULAR value wine. 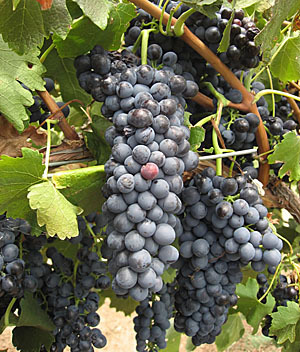 Grape Variety: Blend – 80% syrah and 20% grenache. 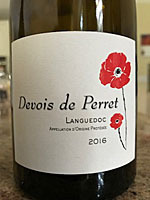 Geographic Appellation, Region, Country: Languedoc, France. Opened 45-minuets before drinking. Clear, dark ruby color with the same color rim. Strong juicy red fruit, smokiness, clove and fresh herbaceous aromas. Very approachable, dry, solid medium body and 200-grit texture. Cherry, plum and orange flavors with a limestone mineral backdrop. Excellent integrated bright acidity, leathery tannins that ended with just a perfect grip and an explosive tart fruit/dark chocolate finish that had an extended mouth filling spicy and mineral aftertaste. WOW, WOW, WOW, this was really a noteworthy wine at this price point. Great bouquet, wide diversity of intriguing tastes, smooth, yet satisfying mouthfeel and a finish that really sets it apart from other red wines in this price range. FANTASTIC paired with the venison stir fry, but equally good sipping after the dinner. This can only be described as a SPECTACULAR value wine and it’s near the top of the list for wines we rate as Quality wine at a Bargain price!! !